Adam is absolutely fantastic! He was extremely responsive leading up to our wedding and was truly amazing on our big day, working side by side with our photographers. When my husband and I received our video (only weeks later!) we were absolutely stunned by his work. Never in my wildest dreams did I expect to receive such a beautiful video, allowing us to relive the best day of our lives. I can't quite put into words just how much his video means to us as it is something we will cherish for the rest of our lives. Adam is truly the kindest and easiest person to work with and I am forever grateful to have had him be a part of our wedding. I can not recommend him enough and if you have had the opportunity to catch just a glimpse of his work then you already know just how talented he is! Our wedding video was a dream! We hired Adam just a few short weeks before our wedding and in such a short time he was able to get all the information he needed and get all the paperwork taken care of. He was so professional and quick! We didn’t meet him until our actual wedding day because of how quickly we hired him and he felt like a friend you had known for years. He has a way of fitting in and blending with the mood and personalities. I was so excited about how easy it was to work with him, and in the end our video was an absolute dream! He captured everything that was so “us” about our wedding and our video was delivered with the sweetest hand written card! Adam did a fantastic job capturing our wedding day! He is so creative, and his attention to detail is wonderful. He stuck with us the entire time to film the best moments. He captured the mood, the feeling, the fun, the love - which is exactly what my husband and I want to look back on in 20 years. His videography and editing style is soft, dreamy, magical and timeless. You really feel like you're in a movie when you watch it; totally worth it! Working with Adam leading up to the wedding was so reassuring as he took the time to find out what was important to us. Ofcourse it refelcted in the amazing video he put together just weeks after the wedding. 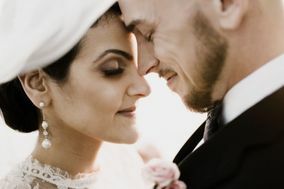 During the day, he went above and beyond to capture our special moments and tied together the true highlights of our day. He captured the best parts of the space and the ceremony/reception without intruding or getting in the way. Watching our vows and seeing the moment we were married was all done in a style that fit our own story. Our family and friends love reliving that day through the beautiful work Adam did. Another friend we made at the wedding! 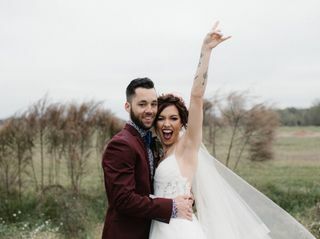 We hired Adam for our wedding on November 16, 2018 and he was absolutely incredible to work with!!! We got our video back within 2-3 weeks and were in awe with how beautiful it was! He was able to capture all of our most special moments and we are so grateful that we get the chance to replay it for the rest of our lives. Thank you Adam for making us feel so comfortable, for capturing every incredible moment and for always being so friendly and responsive. We could not be any more satisfied! Adam is awesome I would highly recommend using him for your wedding or event. He was on time, worked well in fast pace scene, he has a great turn around time and was very professional. We absolutely loved our wedding video! I can't possibly say enough good things about Adam or his work. He is extremely personable, professional, timely & overall incredible to work with. He goes above & beyond to meet his client's needs. He even made my husband and his groomsmen comfortable on camera!! I would recommend Adam to anyone. If he is available on your day, book him asap!! Adam did an excellent job capturing our day!!! The video he put together was so beautiful and he captured the joy we both felt that day perfectly! We are so grateful we hired Adam and know that his video is one that we will forever cherish!! Thank you!! Adam is an amazing videographer/photographer. He was always quick to answer any questions, make suggestions, and worked professionally and as a team with our photographers and coordinator. We have watched our video over and over again. He portrayed everything we said we wanted our wedding to be remembered as, and since then, we have had two other friends incredibly happy with his talent and product as well! Adam is extremely talented and an incredibly easy going professional. I was blown away by the work he did on our wedding video. Adam did an amazing job for our wedding. Through rescheduling our reception due to a hurricane, he was extremely accommodating! Would recommend him to everyone! Adam did such a perfect job on our video! He captured everything from the intimate family prayer in the morning, the first look, and memorable points of the message/solemnization. We honestly couldn’t have asked for a better videographer to capture our day & the details that were so important to us. Adam is the best! His photos were amazing and he was so accommodating. Highly recommend! Professional. Punctual. Considerate. Creative. We had a same day edit which was awesome. A video a couple weeks later and raw footage after that. Adam was exactly what we needed for our wedding day! We love watching all the video footage from the best day of our lives. You don't need to keep looking for a videographer, Adam is your guy!! !